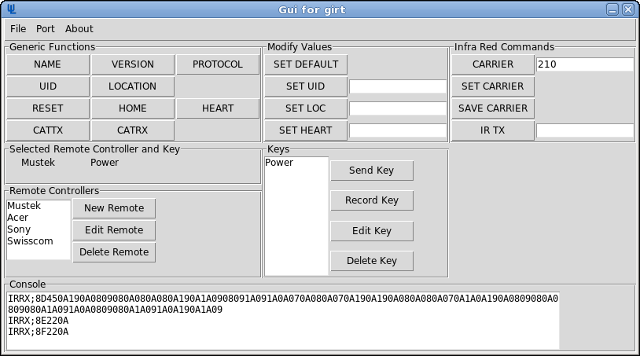 Using ggirt.py the IR codes of the existing remote controllers can be learned and put into the sqlite database. After that ggirt.py can be used to send out the codes and check if the devices react. Especially keys as power up require the infra red signal sent multiple of times until they accept it. This can be configured by inserting a value different from 0 into the repeat count field. Inserting 1 into the repeat field means the frame will be repeated once. This results in sending out totally two frames. The space field then gets the time value in between those frames in ms. 0 means send immediately, 100 means wait 0.1s in between. 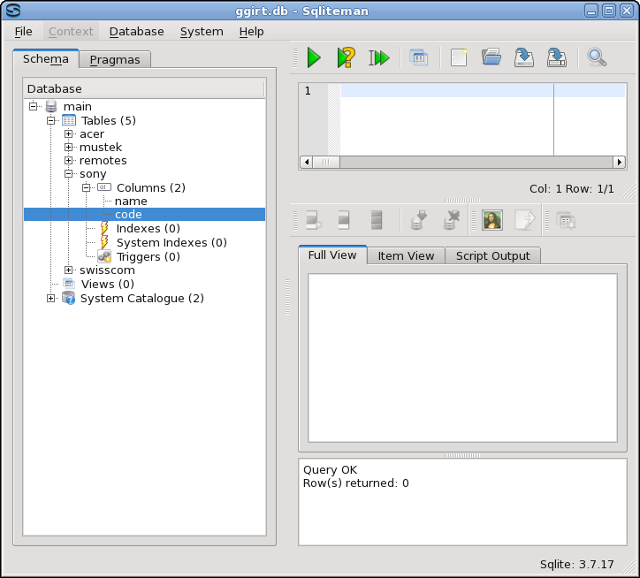 Since ggirt.py produces the sqlite database /var/db/girttools/girt.db, this database can also be observed and modified by other tools as sqliteman, sqlitebrowser or just use the database browser that comes with the gnome database access library libgda.